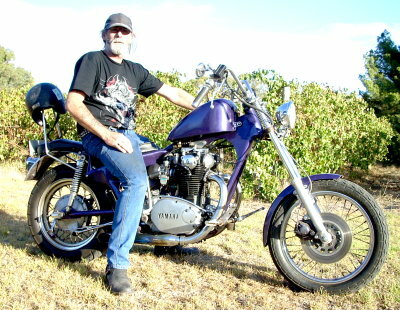 Choppers Australia and ChoppersAustralia.com welcome and support riders and builders of all makes of chopper and bobber, whether you have built your own, bought one or ride a factory job. While one of our main aims is to help builders of home built "old school" and "classic" choppers, this network and website is set up to inform, encourage and support anyone, male or female who loves choppers. 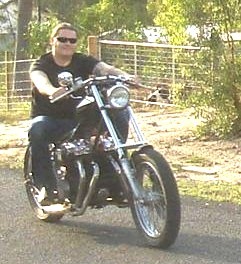 Choppers in Australia... if it can be ridden, you bet it can be chopped! Photos by the hundreds... choppers, bobbers, customs and some way out stuff as well. Registering on Forums... If you have recenlty registered and not received a reply, please email... andrew@choppersaustralia.com with your forum name and a bit about your self, so I can manually register you. We were recently swamped with spam registrations and had to delete all registrations. This has now been fixed. 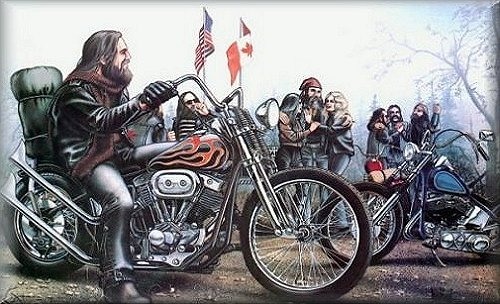 Sorry for the inconvenience, Prof.
Chopper Gallery webpage... check out some really great photos from 1970/71 chopper mags such as Choppers, Big Bike, Street Chopper and a few more... and we still have hundreds of pictures ready to go onto our galleries..
Want to ride with other choppers? see our "Next Event" webpage..
1. 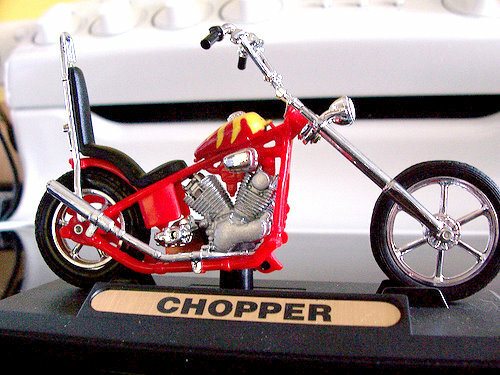 To quote a common 70's phrase... "Riding a chopper is outa sight man!" 2. Stock bikes don't fit individuals... you make yours to fit you. 3. Stock bikes are compromises and don't do any one thing really well... you make yours to suit your riding style. 5. You are a unique person and you like to be seen that way, so what's better than personalising your bike. 6. Chopping your bike is great therapy (and cheaper in the long run than a shrink!). 7. Chopping your bike brings out your creativity. 8. Chopping your bike introduces you to new skills. 9. Makes your missus happy... While you're in the shed, you're not in the pub . 10. Chopping your bike stimulates the economy where it is most important... the little guy, the motorcycle shops, wreckers, your biker brother with something to sell etc. 11. Chopping and then riding your creation is one of the sweetest experiences in the world. But he sweated & swore 'til he got it done. Wind in his face... TOTAL JOY." This website and its forums contain many photos obtained from books and magazines and off other chopper websites. Where possible we acknowledge our sources. We do not knowingly use internet images that are restricted. If you are the owner of an image we have used and object to us displaying it on this website, please contact us. Most of them have have websites and deal nationally. Click on a business name for link to their advert..
FREE Buy & Sell Forum..